It was a rainy day in the rain forest of Maui, when suddenly a ray of sun shined through the clouds. I expected to see a rainbow in the sky but I saw it on earth! 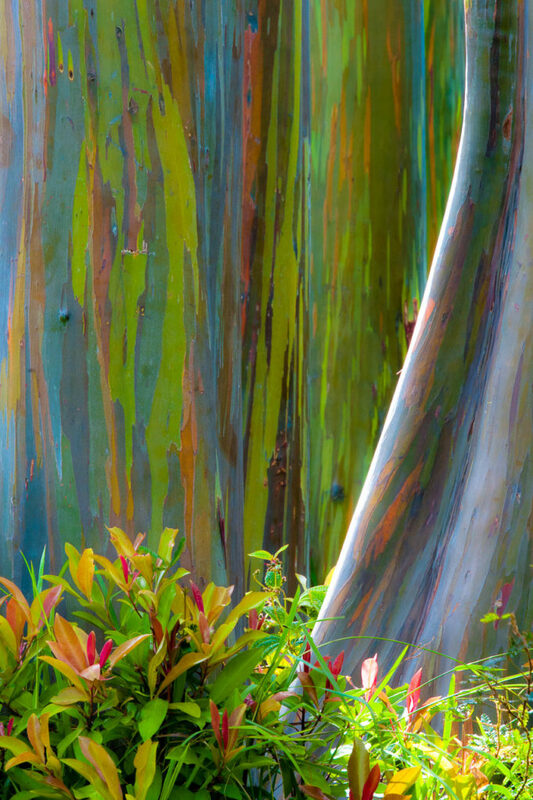 A colorful forest of rainbow eucalyptus was in front of me. I just had the time to take this one shot with the light touching the tree in the foreground and then the clouds covered the sky again.